You’re about to start a PPC campaign with Google’s paid advertising product, AdWords. You know that AdWords is effective because it allows your ad to reach people at the very moment they are searching for what you have to offer. Think the hard work is over? Not even close. 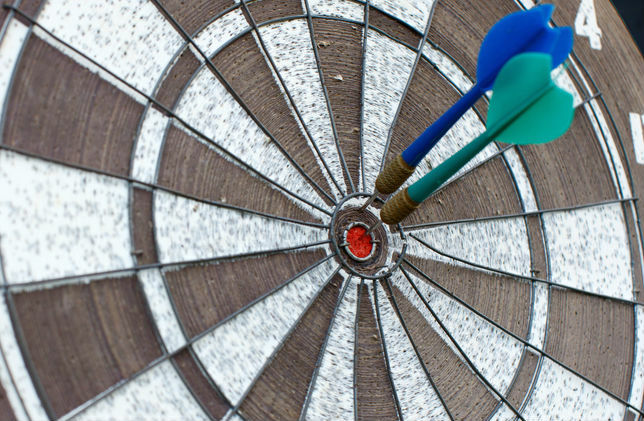 Don’t ignore your Quality Scores because they’re about to impact your campaign. Wait, what? What’s a Quality Score and why is it affecting my campaign? you ask. Hold on there, pardner, we’ll walk you through this. Because for any given keyword there are multiple marketers that want their ad to appear in AdWords, Google holds an auction. The more you are willing to pay-per-click, the more likely your ad is to appear…but, and this is an important but, that’s not all. In addition to considering a higher cost-per-click, Google also factors in the relevance of your ad and landing page to the keyword you’re bidding on. Each keyword you’re bidding on receives a Quality Score, which is an estimate of the relevance of your ads and landing pages to the keywords you’re bidding on. A Quality Score refers to the keyword alignment between the keyword and the PPC ad and its landing page. Quality Scores are given on a 1-10 scale with the higher the number, the higher the relevance of your ad and landing page. The expected clickthrough rate (eCTR) is a keyword status that measures how likely it is that your ads will get clicked when shown for that keyword – irrespective of your ad’s position, extensions, and other ad formats that may affect the visibility of your ads. Put another way, your eCTR predicts whether your keyword is likely to lead to a click on your ads. There are three possible eCTR statuses your keywords can receive: above average, average, or below average. If you receive an “average” or “above average” status that means there are no major problems with the keyword’s expected clickthrough rate when compared to all other keywords across AdWords. Receiving a “below average” status means that you might want to consider changing your ad text so that it’s more closely related to your keyword. Remember, because it is a prediction, the expected clickthrough rate is different from the actual clickthrough rates shown in the “CTR” column of your account. Ad Relevance is a keyword status that measures how closely related your keyword is to your ads. Where eCTR described how likely someone is to click on your ad, ad relevance describes how well your keyword matches the message in your ads. For example, if someone searches for your keyword and your ad shows up, would that ad seem directly relevant to his or her search? Like eCTR, there are also three possible statuses for ad relevance: “above average”, “average” and “below average”. Receiving an “average” or “above average” status shows you there are no major problems, but receiving a “below average” status should be a signal for you that it’s time to make your ad copy match the keyword more closely. Landing page experience (LPE) is the third status used by Google to calculate the Quality Score. It estimates how relevant and useful your website’s landing page will be to people who click on your ad. The landing page experience status describes whether your landing page is likely to provide a good experience to customers who click your ad and land on your website. For example, is your landing page clear and useful to customers? Is your landing page related to your keyword and what customers are searching for? Is the page clearly organized, engaging, and easy to navigate? All these factors play a role in determining your landing page experience status. Higher levels of engagement with your landing page will help your LPE rating – and will also build trust, generate leads, create new customers, and grow sales. Paying close attention to your Quality Score will help you increase the likelihood of your winning an AdWords auction with a lower cost-per-click. Advises Beale: “Even if your overall Quality Score is high, looking at each of the individual statuses can help you identify potential areas for improvement.” Remember, with digital marketing it’s all about continually refining your campaigns to achieve better results at a lower cost.